AllStar Ecology recently authored a chapter in the professional book Wetland and Stream Rapid Assessments: Development, Validation, and Application. This book describes the scientific and environmental policy background for rapid wetland and stream assessments, how such assessment methods are developed and statistically verified, and how they can be used in environmental decision-making—including wetland and stream permitting. 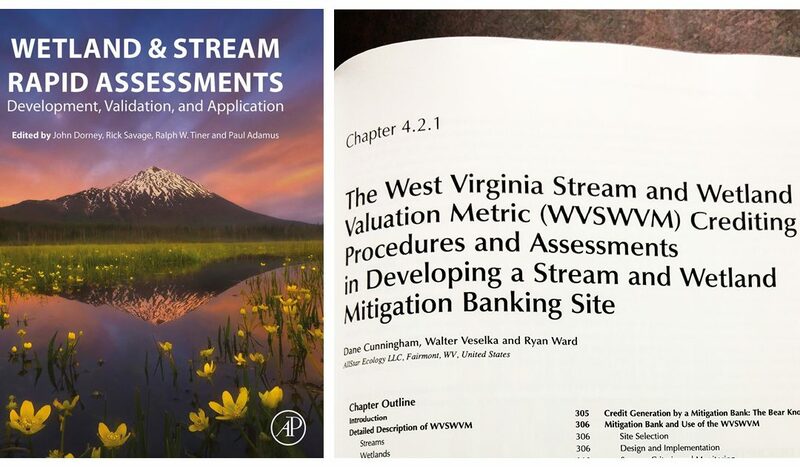 AllStar Ecology’s Dane Cunningham, Walter Veselka, and Ryan Ward co-authored Chapter 4.2.1 – “The West Virginia Stream and Wetland Valuation Metric (WVSWVM) Crediting Procedures and Assessments in Developing a Stream and Wetland Mitigation Banking Site”. This chapter details the assessment methodologies that comprise the WVSWVM, use of the metric, and the framework for using with regard to mitigation banking. AllStar Ecology takes pride in being a leader in environmental consulting and research, with employee’s specialties ranging from aquatic entomology to stream/wetland restoration design and construction. To learn more about our Mitigation and Restoration Services team, visit our Mitigation and Restoration page. 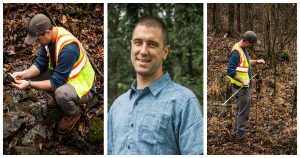 To learn more about our Stream and Wetland Permitting team, visit our Stream and Wetland Permitting page.